#1 - Killer in the Cockpit? 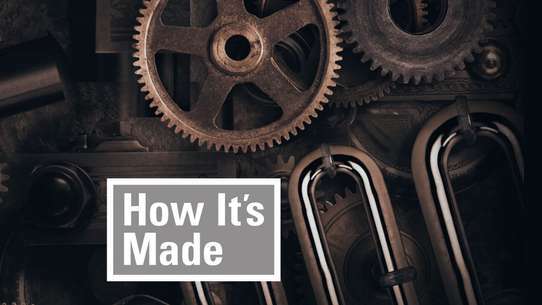 This special looked at pilots' carefully planned strategies in deliberately crashing aircraft. 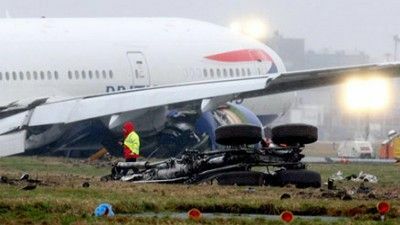 Alternate title: "All Engines Failed" British Airways Flight 009, sometimes referred to as the Jakarta incident, was a scheduled British Airways flight from London Heathrow to Auckland, with stops in Bombay, Madras, Kuala Lumpur, Perth and Melbourne. On 24 June 1982, the route was being flown by City of Edinburgh, a 747-200 registered G-BDXH, when it flew into a cloud of dust and ash thrown up by the eruption of Mount Galunggung, and all four engines failed. 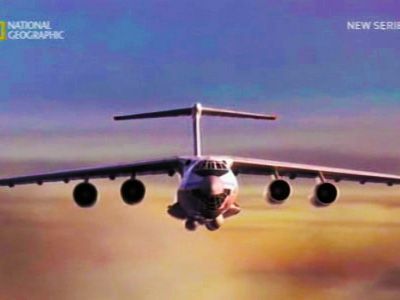 The aircraft was able to glide far enough to exit the ash cloud, and three of the engines were restarted, allowing the flight to divert to Jakarta and perform a safe landing. 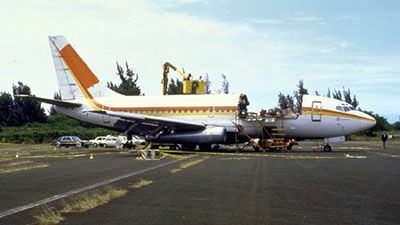 Aloha Airlines Flight 243 was a scheduled Aloha Airlines Boeing 737-200 flight between Hilo and Honolulu in Hawaii. 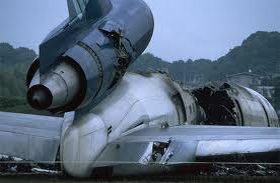 On April 28, 1988, the aircraft suffered extensive damage after an explosive decompression in flight, but was able to land safely at Kahului Airport on Maui. One crew member was blown out of the airplane and another 65 passengers and crew were injured. The extent of the damage was only just below that which would have caused the airliner to break up, and the survival of the aircraft with such a major loss of integrity was unprecedented and remains unsurpassed. 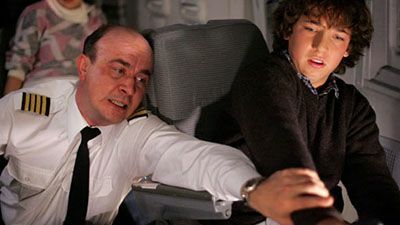 On 9 October 2002, Northwest Airlines Flight 85 is cruising above the Bering Sea before problems develop and pilots must make an emergency landing in Anchorage, Alaska. 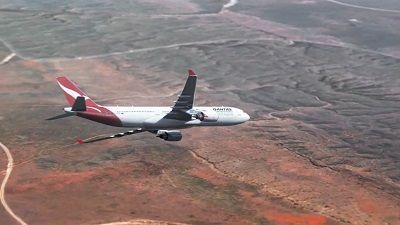 In 2008, Qantas Flight 72 travelling from Singapore to Perth suddenly nosedives while over the Indian Ocean. 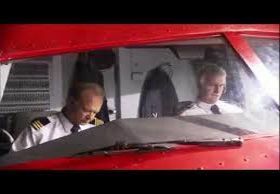 With warnings flooding the cockpit and passengers being flung around, it’s up to an experienced fighter pilot to get the plane to safety. In 1977, a plane was caught in a storm so severe that it cracked the cockpit windscreen. The crew decided to try and land on a nearby highway, but the jet clipped a tree and burst into flames. 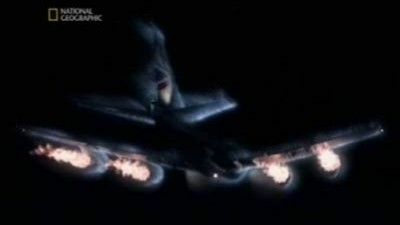 Together with the cockpit crew, 72 passengers and 8 people on the ground were killed in the inferno but miraculously, 5 people on board survived. 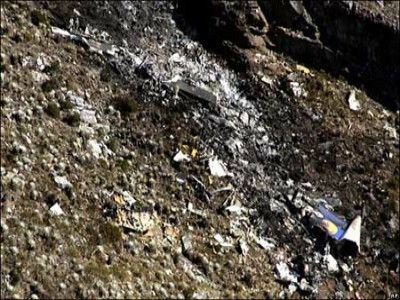 On 21 February 2008, Santa Bárbara Airlines Flight 518 was operating as a scheduled domestic flight from Mérida, Venezuela to Caracas when it crashed into the side of a mountain shortly after takeoff. All 46 passengers and crew aboard the plane died. Alternate title: Head on Collision/Crash Course/Collision Course Find out what went wrong when a Kazakhstan Airlines jet and a Saudi Airways plane collided in the worst mid-air crash in aviation history, killing 349 people on November 12, 1996. Alternative title: "The Plane That Wouldn't Talk" Birgenair Flight 301 is scheduled to fly from Puerto Plata to Frankfurt. 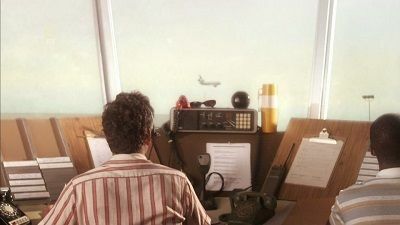 On takeoff, the captain finds that his air speed indicator (ASI) is not reading properly, though the co-pilot's ASI is showing the correct speed. Both pilots become confused and believe that both ASIs are malfunctioning. 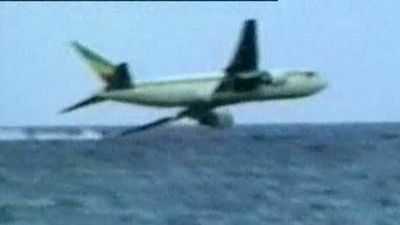 They lose control of the aircraft and it crashes in the Caribbean Sea. All 13 crew members and 176 passengers die. 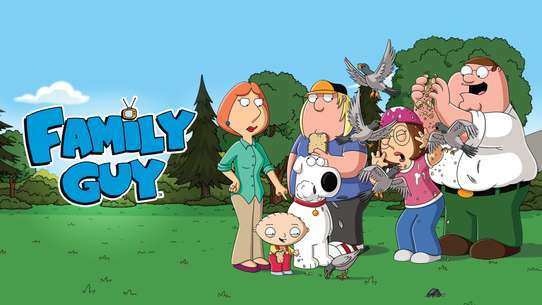 Alternative titles: "Miracle Flight" and "Deadly Glide". 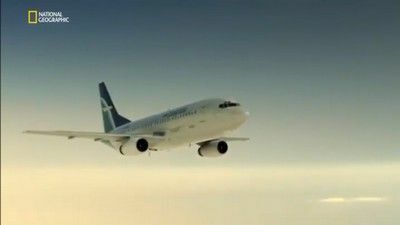 A Boeing 767-200 jet, Air Canada Flight 143, ran completely out of fuel at 41,000 feet (12,000m) altitude, about halfway through its flight from Montreal to Edmonton. The crew was able to glide the aircraft safely to an emergency landing at Gimli Industrial Park Airport, a former airbase at Gimli, Manitoba. 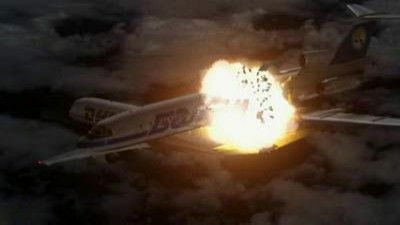 On 19 July 1989, United Airlines Flight 232's DC-10 was crippled when an engine explodes causing serious damage to the vital hydraulics system causing the plane to go out of control. The plane managed to land at Sioux City but the plane erupted into a fireball shortly after. 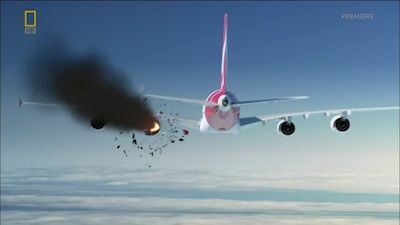 On 4 November 2010, the pilots of Qantas Flight 32 were forced to deal with a series of failures when an explosion tore apart an engine on their A380. Philippine Airlines Flight 434 (PAL434, PR434) was the route designator of a flight from Ninoy Aquino International Airport, Metro Manila, Philippines, to New Tokyo International Airport (now Narita International Airport), Narita near Tokyo, Japan, with one stop at Mactan-Cebu International Airport, Cebu. 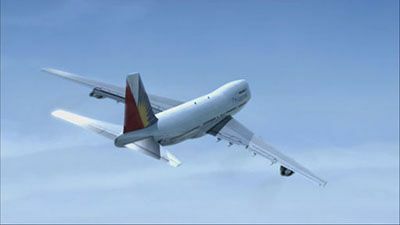 On December 11, 1994, the Boeing 747-283B on the route was on its second leg, from Cebu to Tokyo, when a bomb exploded, killing one passenger. The rest of the passengers and the crew survived. When American Airlines Flight 587 crashed into Queens, New York after 9/11, it was considered an act of terror - until evidence proved otherwise. En route from Moscow to Perm, Russia, Aeroflot Nord Flight 821 is on its final approach when the plane nosedives and crashes onto the trans-Siberian railway. All that's left of the Boeing 737 is charred wreckage. 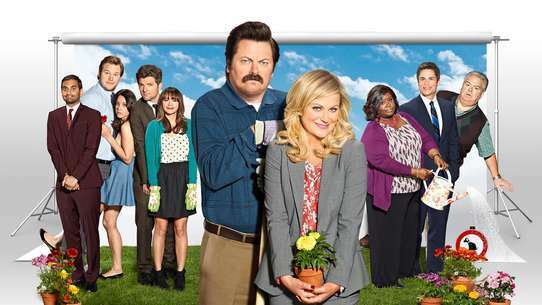 All 88 people on board are confirmed dead. At first, investigators suspect a known design flaw in the aircraft's rudder. But as they dig deeper, they make a series of shocking discoveries that will result in calls to transform the country's aviation system. 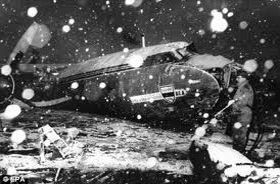 On 6 February 1958, British European Airways Flight 609, carrying members of the famed Manchester United football team, crashed shortly after taking off from Munich, killing 23 aboard. 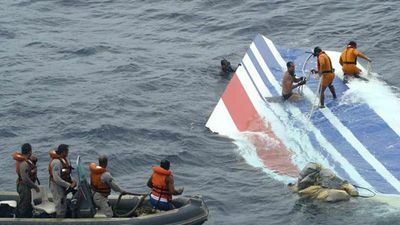 On 1 June 2009, Air France Flight 447, a scheduled flight from Rio de Janeiro, Brazil to Paris, France, stalled and crashed into the Atlantic Ocean while flying in a thunderstorm, killing all 216 passengers and 12 aircrew on board. 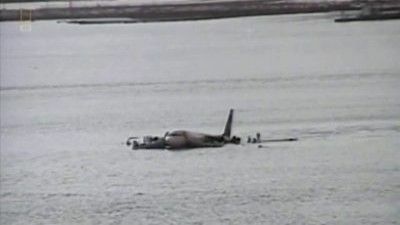 The causes of the crash were incorrect airspeed readings due to ice blockage of the aircraft's pitot tubes, inappropriate control inputs and the pilots not taking recovery action until it was too late. An attempt to rescue orphans from the chaos of war-torn Vietnam ended in tragedy when a US plane crashed on April 4, 1975, killing more than 150 people. 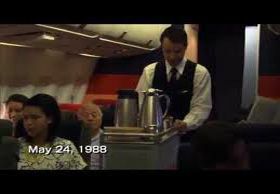 Ethiopian Airlines Flight 961 was hijacked on November 23, 1996 en route from Addis Ababa to Nairobi, by three Ethiopians seeking political asylum. The plane crashed in the Indian Ocean near Comoros after running out of fuel, killing 123 of the 175 passengers and crew on board. 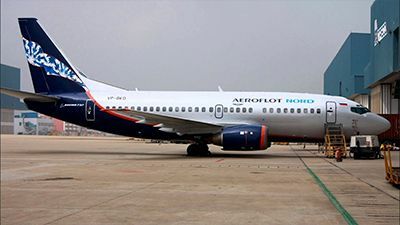 Aeroflot Flight 593 refers to an accident on March 23, 1994 in which an Aeroflot Airbus A310-304 passenger airliner, registration F-OGQS, crashed into a hillside in Siberia. 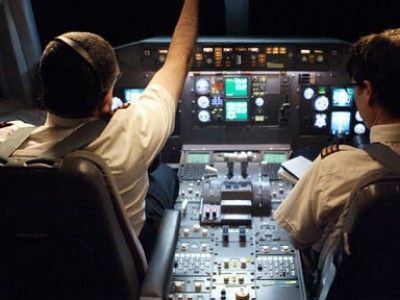 The cockpit voice recorder revealed that the pilot's 15-year-old son, Eldar Kudrinsky, was initially at the controls when the incident began, and that he had unknowingly activated an automatic feature of the A310's autopilot that many pilots at the time were unfamiliar with. All 75 passengers and crew were killed. 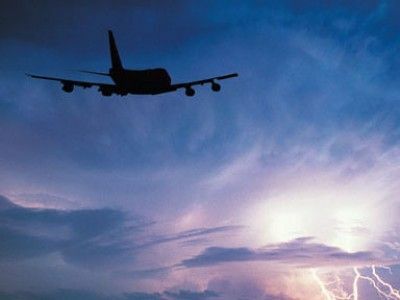 On 24 May 1988, TACA Airlines Flight 110, a Boeing 737 flew through a thunderstorm and suffered a dual engine flameout. The pilots amazingly managed to land on a grass levee close to a nearby stream at NASA's Michoud Assembly Facility in the Michoud area of eastern New Orleans, USA. All onboard survived. 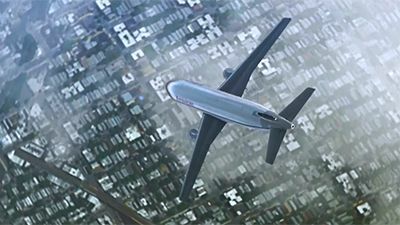 This special looks at the role of bad weather in disasters, and tours the US Aviation Weather Center in Kansas City, Missouri to see how information on weather is transmitted to pilots in the sky. 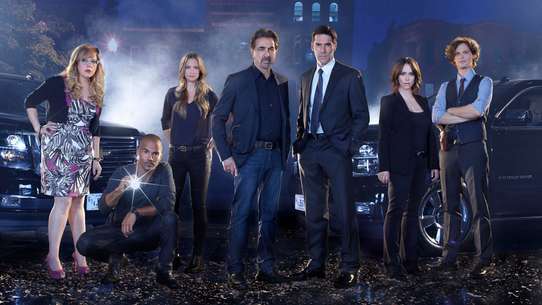 Episodes revisited: 5x03-Southern Storm, 5x05-Invisible Killer, 1x01-Racing the Storm, 4x02-Falling From the Sky.